What happened at the September Board meeting? See our table of contents below to quickly find the information and agenda items you're looking for. See additional actions and annotations from this meeting. Washington has a unique opportunity to make an increased investment in the quality and diversity of its educator workforce. We can do this by supporting diverse pathways into a career in education and through strategic investment and policy reform in educator recruitment and mentoring at both the secondary and postsecondary level. With this charge, we can collectively address shortages while at the same time increase teacher diversity in the profession. 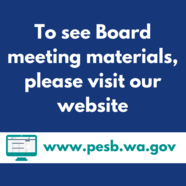 At the September meeting, the Board received an update and presentation on agency priorities, and approved the legislative agenda for the upcoming session. For more information on these topics, please visit our website. The Board approved the convening of several new work groups set to begin this Fall. Final outcomes of the work groups include developing policy recommendations, reports, as well as suggestions for program redesigns. For updates on work groups, visit our website. 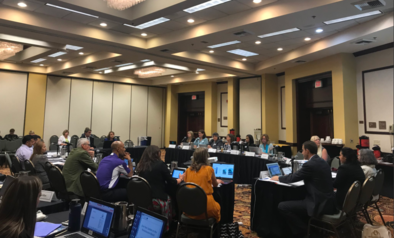 At the September meeting, members from the Professional Educator Standards Board and the Paraeducator Board held their annual half-day joint convening where agency staff were able to share progress and updates on their work. Both Boards look forward to another year of hard work and commitment towards educator quality, workforce development and policy innovation. Limited certificates provide flexibility in the Washington state educator certification system. With a limited certificate, educators who have not met full certification requirements may practice in classrooms and schools if certain conditions are met. There are now four types of limited certificates, were previously, there were seven. However, educators who qualified for one of the previous certificates would continue to qualify for one of the new certificates. The emergency certificate will no longer be available, but districts will be able to request a conditional certificate for those same individuals. The emergency substitute certificate will continue to be available, and will have a two year validity period. The validity period of a certificate currently held by an individual would not suddenly be cut short because of this policy change. We are offering an informational webinar regarding policy updates to the limited certificates. Thursday, October 25, 11 a.m. to noon. Register for this webinar. More information on limited certificates can be found on our website. Holders of initial and continuing CTE certificates expiring June 30, 2019 will need to have completed 100 clock hours or the equivalent in the five years prior to the expiration date of the certificate. Educators may complete professional growth plans (PGPs) as part of this requirement. Initial and continuing certificates for CTE teachers, administrators, and career guidance specialists will now have five-year validity periods, and may be renewed with 100 clock hours or the equivalent in credit or PGPs. We are offering two information webinars regarding policy updates to the CTE certificates. More information on CTE certification can be found on our website.